 I am happy to greet you all at this Nobel Laureates Summit, which brings together many participants in our movement that has for many years been serving the cause of peace. We are all united by our commitment to spread the ideas of peace and the culture of peace among communities and citizens and, above all, young people, who will be living in an increasingly complicated and turbulent world. Indeed, the world today is facing many alarming problems, with new challenges emerging while the old ones – such as the interrelated problems of security, poverty and backwardness, and the environments – still remain unresolved, and the world is becoming increasingly unpredictable. Even so, we must not despair or panic. Even in the most difficult situations, we must seek solutions and have faith that they can be found. The agreement to end civil war in Colombia is an excellent example of peace-making, honored by the Nobel Peace Prize in 2016. It became a reality despite enormous difficulties and obstacles – but ultimately reason prevailed! I was therefore happy to congratulate the President of Colombia, Juan Manuel Santos, on the high recognition of his decisive contribution to this achievement. Today, Nobel Laureates are engaged in many initiatives and projects. Each of us is focusing on areas where we expect to do the most good. But I would like to ask you, whatever your immediate concerns and wherever you go to meet people, to remind everyone of the urgency of the main task – to prevent wars, achieve nuclear disarmament and demilitarize international politics. This is crucial for the success of all our initiatives. I wish you a fruitful discussion and success in involving new supporters in our great combat for a world without nuclear weapons, without violence, without poverty, and a peace for all!